If you wish to deliver to other countries, please contact us and we will calculate your transport shipping individualy. 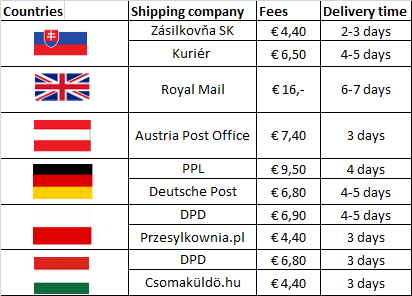 Packages are generally dispatched within next day after receipt of payment and are shipped via transport companies, which you have choosen. We take special care to protect fragile objects.